Every few month I need to use WordPress.com to create or update a site for a friend. And every time I get frustrated with how confusing and convoluted the user interface is. 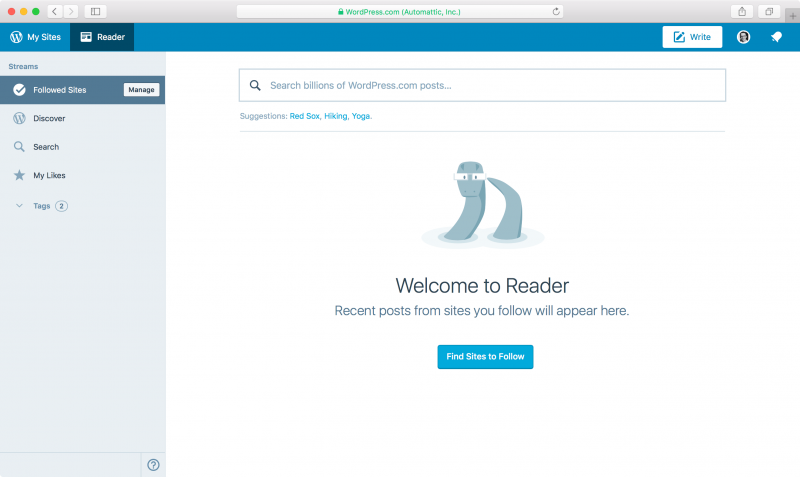 WordPress.com is about publishing so why do I get to see the empty “Reader” as my homepage? Getting to the actual site dashboard requires an additional click or even more if the site is not your default site. For logged-in users the only link to adding a new site is grayed out and hidden in the bottom left corner of the “Switch Site” section. I tried everything from visiting the homepage, my profile page to manually entering random URLs such as wordpress.com/new before I found that link. 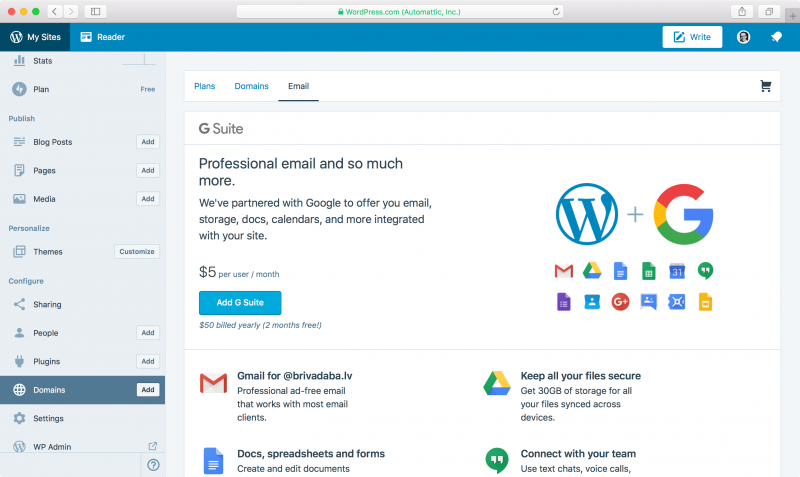 The “Email” tab of the domain settings includes only an upsell for the Google Apps. Adding the MX records for an existing account is only possible under the individual domain “DNS Records” which is another three clicks away. Why not link to that section from the “Email” tab, too? I already pay for a custom domain and I don’t need the banners reminding me of features I don’t need. There is no way to see users that have been invited to the site. Agree with most of the points here. Though reader should be homepage, it should be improve with owned sites stats. 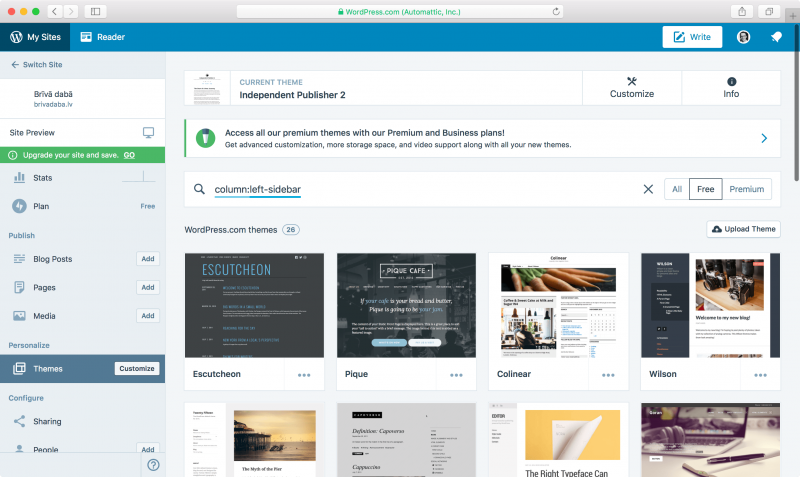 Automattic is already doing fine, they need not to upsell so much. You’ve raised some good points. However, still the most confusing issue is that many people don’t understand the difference between .com and .org. You can’t blame them if they’re looking at something that is branded as “WordPress.com” – who wouldn’t think that it’s WordPress. 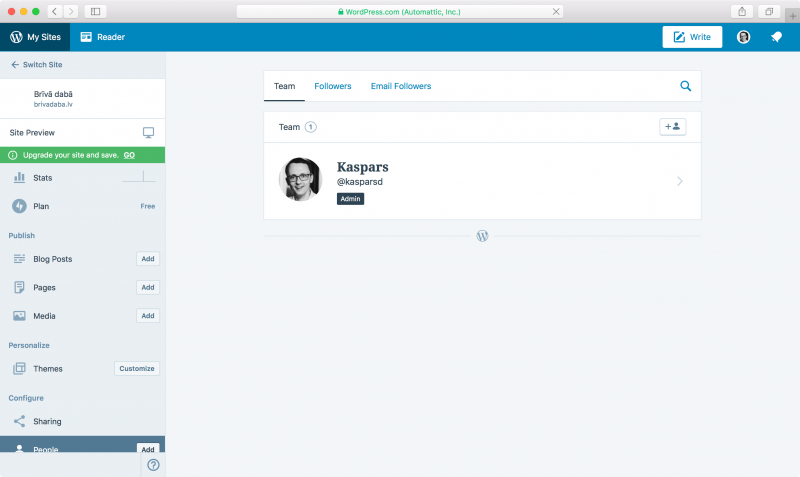 If you then look at how different the user experience is on WordPress.com in comparison to a regular self-hosted WordPress site, it’s understandable that people are confused. 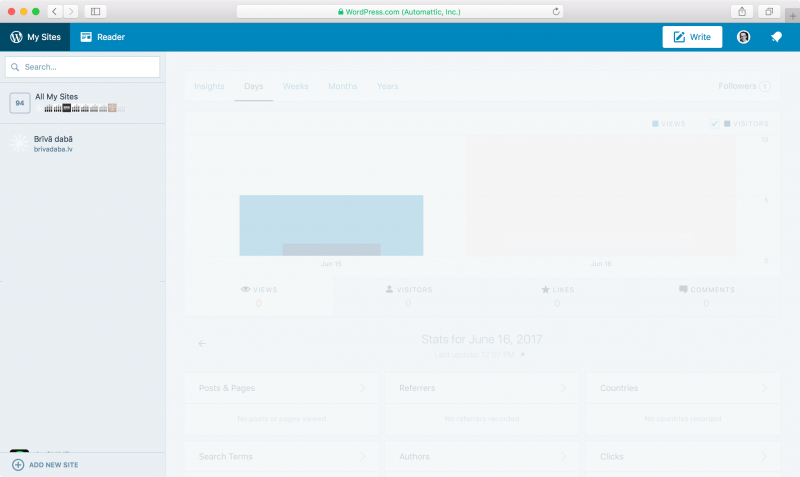 On WordPress.com the regular WordPress dashboard is even completely hidden. It seems to be the first step to replace it entirely, probably with Gutenberg. I rarely use WordPress.com and the last time I did I was disappointed to see it diverging from .org in ways that undermines its value to preparing people for .org. WordPress.com’s UX used to be close enough to .org’s UX that it gave me an initial education that helped quite a bit when I went to self-hosted .org installs. There’s so much to learn with .org beyond the basics of .com that it made a huge difference in enabling me to become fully committed to WordPress. Now I can’t suggest people check out .com and see what they think before going further. And that’s a real loss for .org. Not so much for .com.